Sometimes it’s fun to look back at minor projects completed. I am always on the lookout for fun gifts to give our children for birthdays and Christmas. And, even if my budget were higher, I think I’d continue shopping at thrift stores, yard sales, etc. It’s the thrill of the hunt that makes it exciting for me for sure. And, I definitely enjoy a bit of elbow grease and hard work making it the way I imagine. 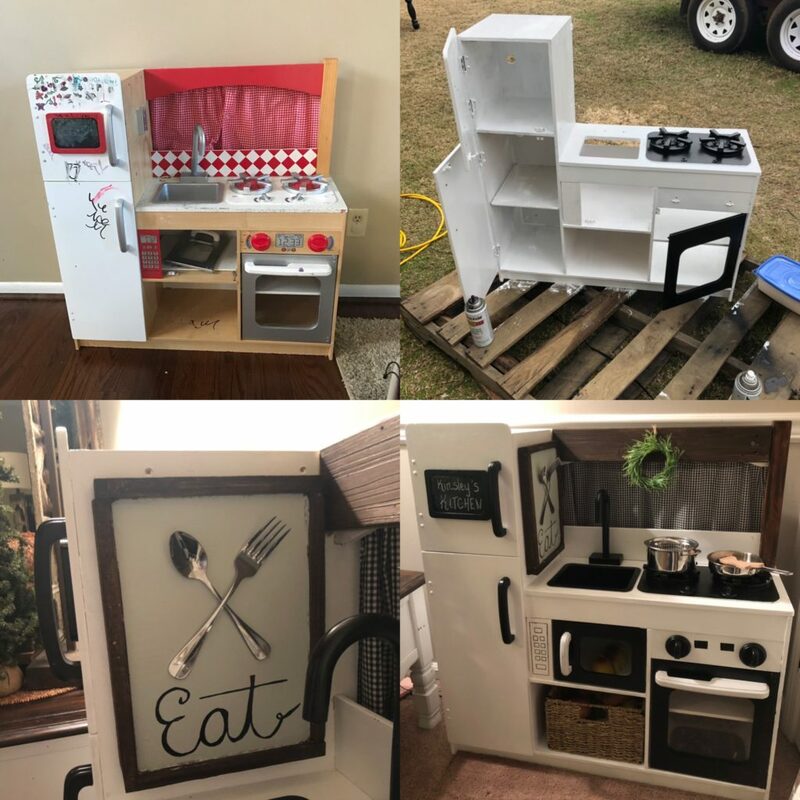 This was our current diy kitchen set that our 3 older girls had played with for years. 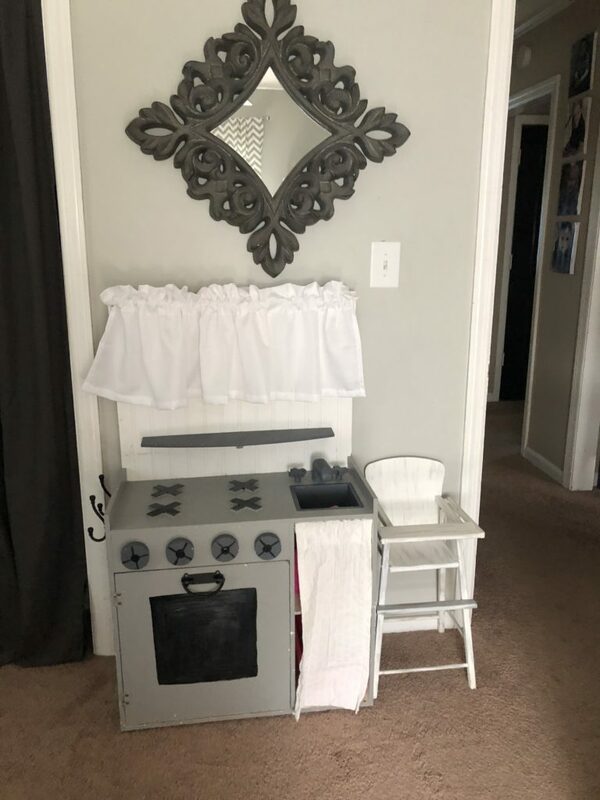 It still was in pretty good condition, but I took some pictures and advertised on marketplace. 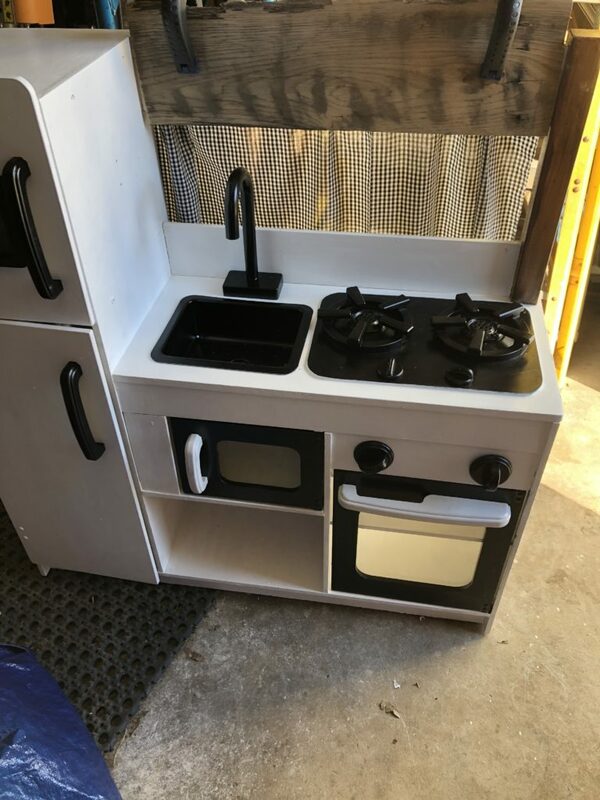 Within an hour I had sold it for $30! 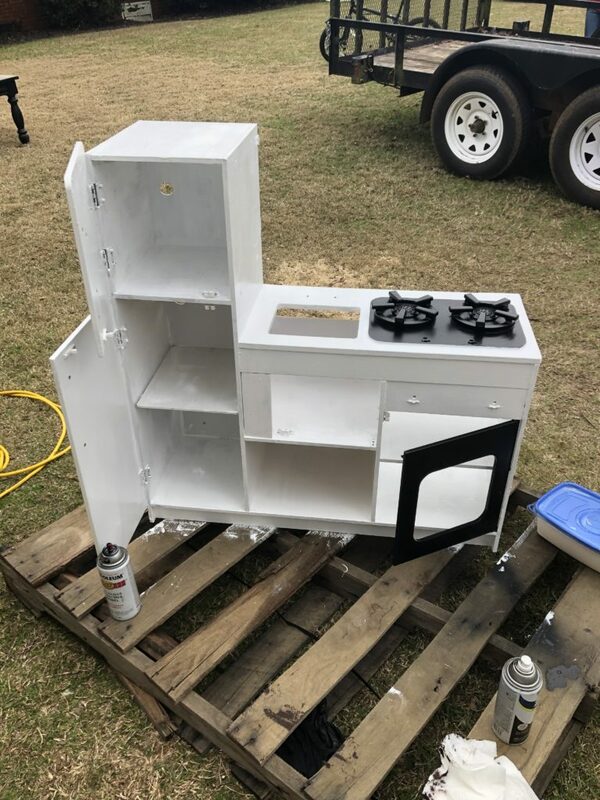 I started by removing all the knobs, lightly sanding, and giving it all a good coat of paint. After I completed that, I removed the true wood pieces and stained them to give it a bit more of a farmhouse feel to the set. I added a piece of stained oak across the top and made easy curtains to finish off the initial look. 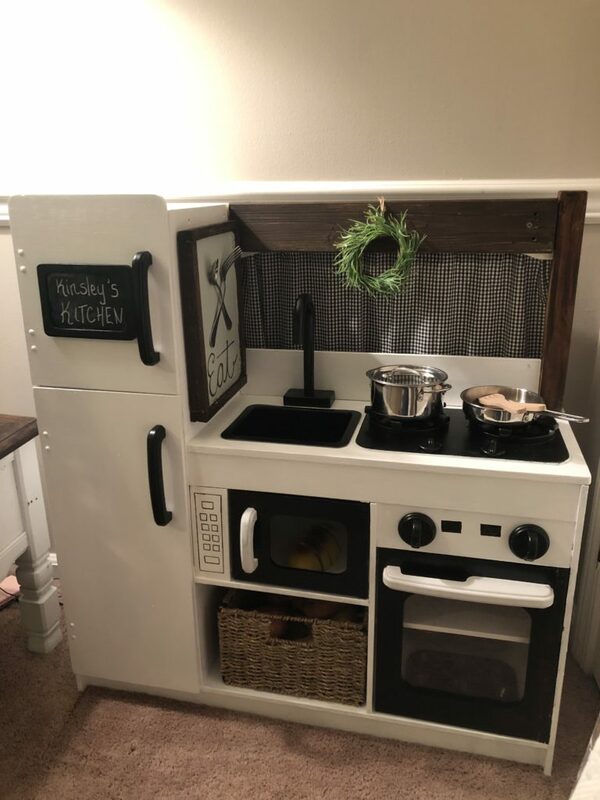 It all turned out so cute and made the extra work quite worth it. The last stage was way more fun than the tear it apart and create new stage. 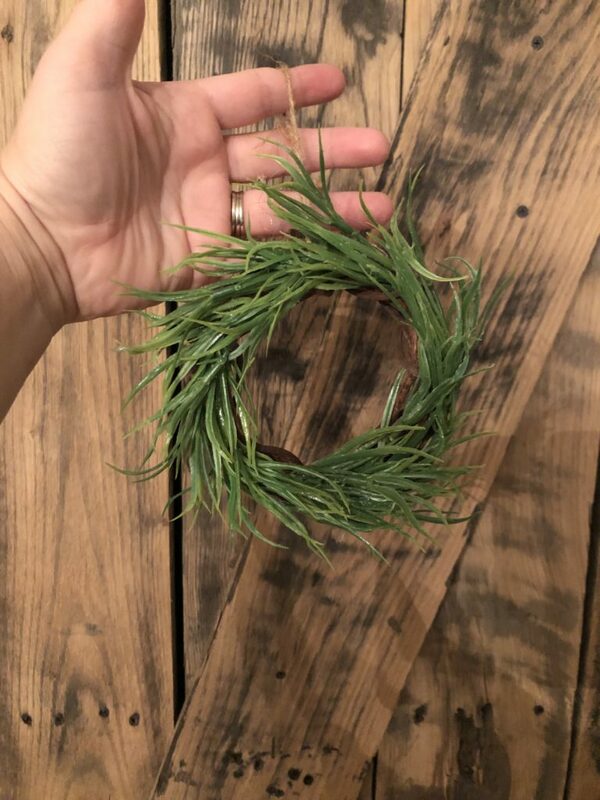 I loved making little decorations to create the extra touch to making it beautiful to me. 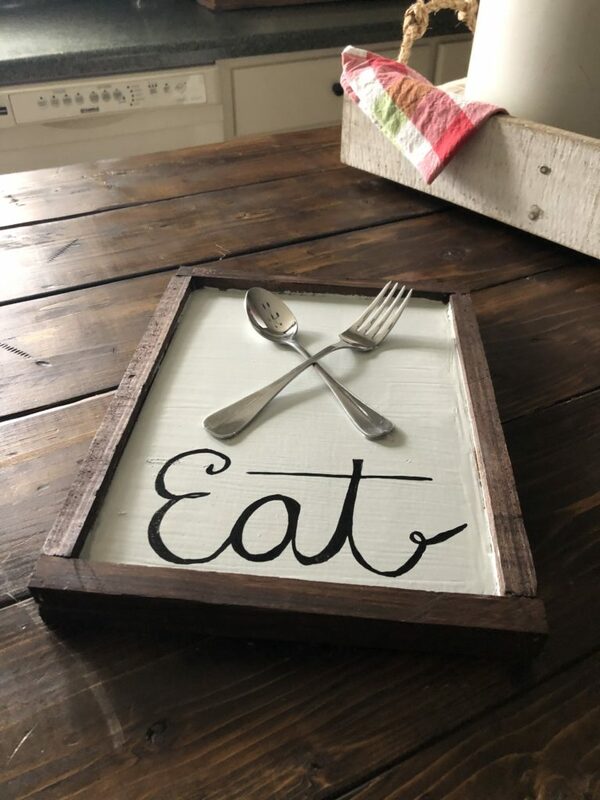 I had the little wreath in my Christmas decoration stash and I made the Eat sign from random pieces of wood I had in my sign making stash. 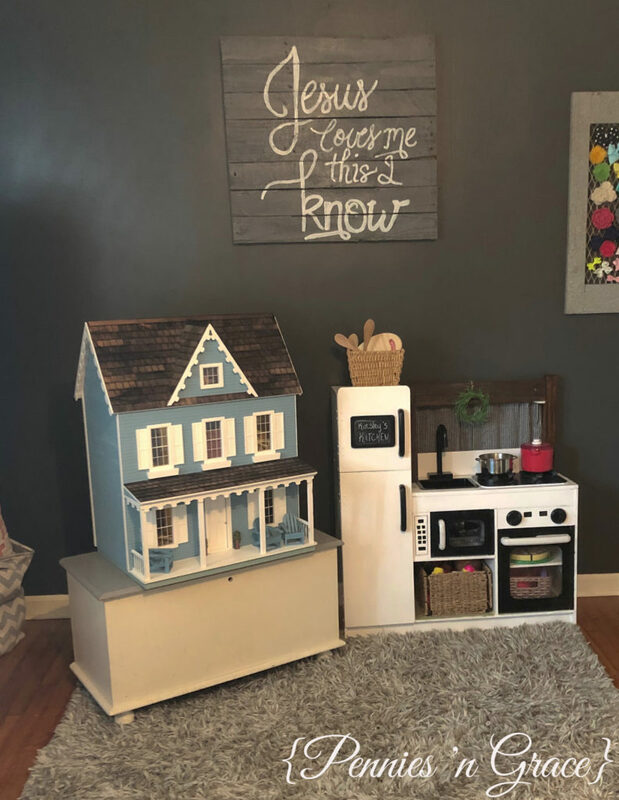 I spent a total of $10 on this project due to having all the paint, stains, and fun decor pieces in my stash! And, I made money by selling the old one. Win win! 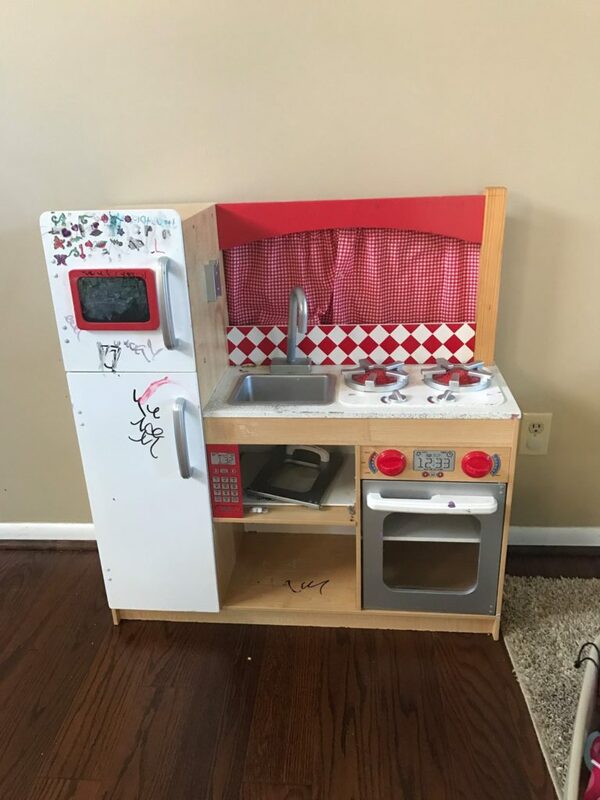 Notice the doll house next to the kitchen set? That’s another blog post coming soon!